Good Morning! I thought I would share a little about how the garden is doing today... We have had one extreme or the other around here. Flooding rains and then days of dry... back and forth. Not a good medium, but thankfully the garden is still doing nicely. By and far the best we have had in the past few years. Mainly because my sweetheart has really outdone himself on the layout of the garden this year. Our place really struggles with what we call 'crab grass'. I'm not sure what others may call it. But it is HORRIFIC stuff. Invading everything and if it gets in, there is no getting it out. So This year we were heavy on the weed barrier and the vinegar solution to kill back the grasses and also we laid down a covering of straw. 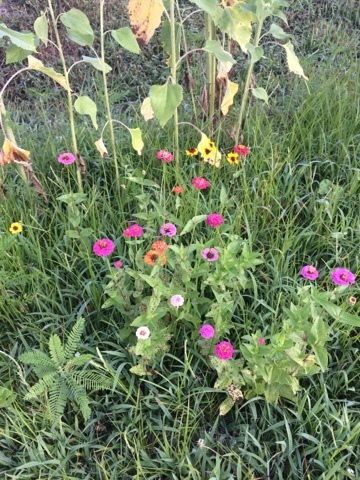 We still get the stray weeds, but they are SOO much more manageable. Once Shannon laid down all the foundation for the garden, then he added beds, compost, topsoil, manure, etc in each bed and then the plants. 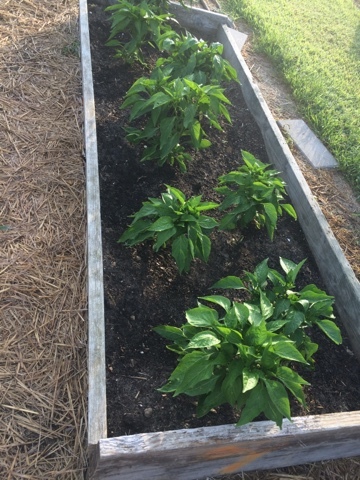 These are just a few pictures of the beds, we are planting some late plants for fall, but these are the ones that are coming full circle right now. This is a Sugar Baby Watermelon.. We have several nice size fruits. 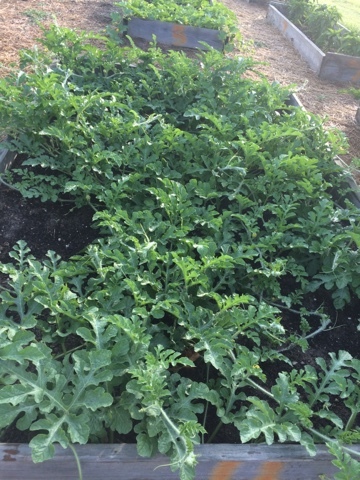 My Eli LOVES watermelon, so I know that he is looking forward to harvesting these! The onions are really doing well this year. 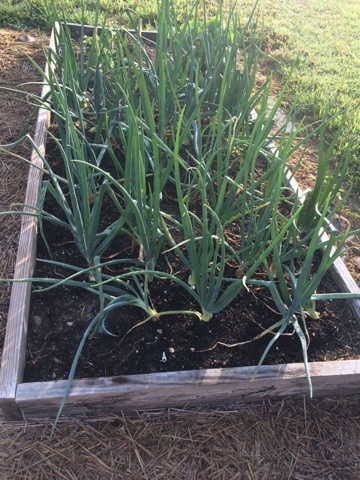 I am looking forward to planting my garlic patch in the fall, hopefully these will be a really good size by then too! I planted a lot of these little beauties. We eat a lot of cherry tomatoes. So many great ways to enjoy them! 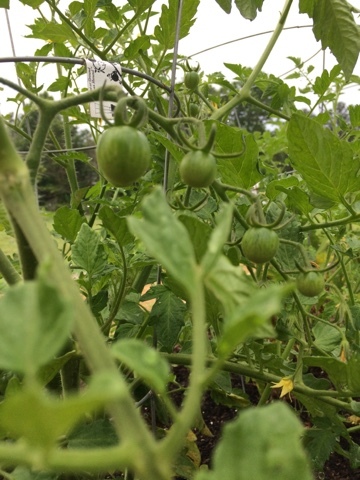 Salad, pasta, or just right off the vine! A close up shot of my parsley because it is just so nice! 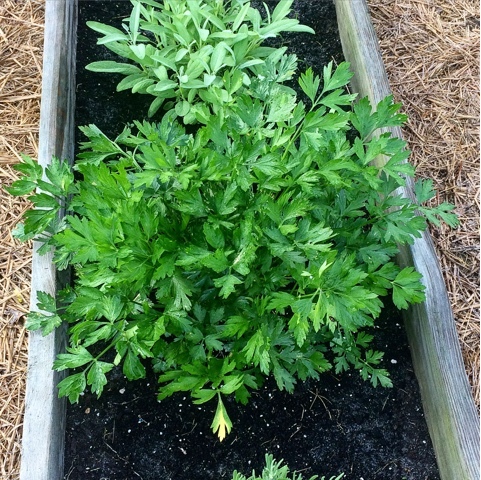 I don't think I've ever grown such a pretty parsley patch. 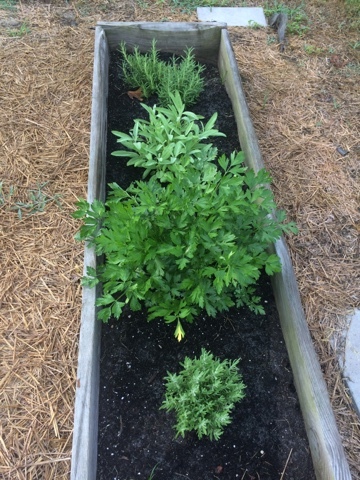 I'm excited for fresh herbs to cook with! 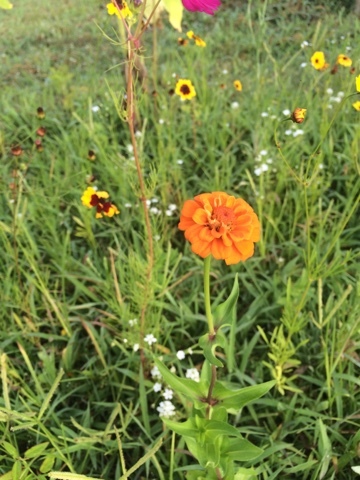 And one of my favorite parts... Wildflowers. Not only are they nice to grow because they are so pretty, but they give the bees food... but anytime I need a sprig of happiness, I make me a cutting and bring inside some sunshine. Such a sweet little treat. 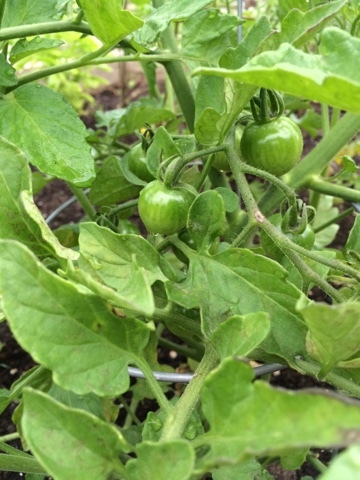 The garden is in nice order right now and we are enjoying it's bounty daily.